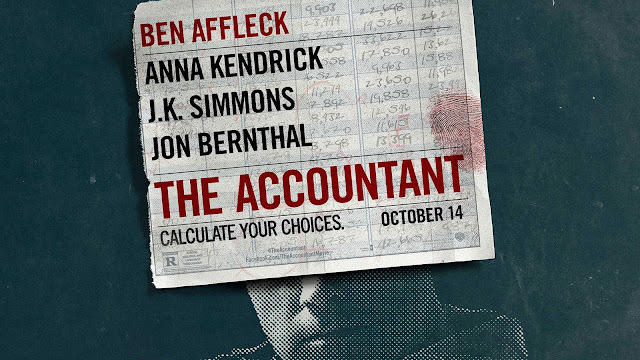 "The Accountant is a 2016 American crime thriller film directed by Gavin O'Connor, written by Bill Dubuque and starring Ben Affleck, Anna Kendrick, J. K. Simmons, Jon Bernthal, Jeffrey Tambor and John Lithgow. The storyline follows a highly-functioning autistic small-town Illinois certified public accountant who actually makes his living uncooking the books of dangerous criminal organizations around the world that are experiencing internal embezzlement. The film premiered in Los Angeles on October 10, 2016, and was theatrically released in the United States on October 14, 2016 by Warner Bros. Pictures. The film received mixed reviews from critics and has grossed more than $151 million."